January 2nd is National Pet Travel Safety Day, so there’s no better time to talk about the best ways you can keep your dog or cat safe when traveling with them. After all, many of us travel during December, when we go to visit friends and family for the holidays—and sometimes, we take our pets along with us to avoid leaving them home alone for too long, or to avoid the expense of boarding them. Obviously there are all sorts of ways to travel, and all sorts of ways to travel with your pets. You can take them on airplanes, in your car with you, or even on the train or bus. But today we’re going to focus on the most common way people travel with their pets: by car. Most dogs or cats will spend some time in the car over the course of their lives, whether they’re coming along with you to visit a friend or relative, going to the dog park for a play date, or just taking a trip to get a checkup from your veterinarian in the greater Philadelphia area. Most people know cats usually aren’t thrilled by a car trip, but dogs are opinionated creatures, too. Many dogs don’t like to ride in the car; they can come away with emotional distress, or even cuts, bruises, or broken bones if they thrash around or scramble, possibly leading to a visit to your specialty veterinary healthcare hospital (and another car trip). Pet travel safety begins with human travel safety. Pets in the car, whether they’re dogs or cats, can lead to distracted driving. Since you can’t buckle up your cat or dog, avoiding accidents is crucial when you travel with your pet. It’s also a good idea to keep your pet off your lap when you drive—it’s not safe. Not only can it distract you, but if you are in an accident a deploying air bag can seriously injure or kill your pet. And even though it’s a classic image of dog ownership, it’s also a bad idea to let your dog hang his head out the window. In fact, any unrestrained animals pose a greater risk to themselves and to others than ones who are crated, especially if you have them in the bed of a pickup truck. Best practices when you travel with pets include having sufficient water for them if it’s a longer road trip, several days’ worth of food, any and all of their medications, treats, a first aid kit, a warm blanket (especially this time of year), extra towels in case of accidents, and a windshield shade if it’s warm out—just in case you break down and it’s sunny and warm in your car. In the end, even if you adhere to the safest possible ways to transport your pet in the car, accidents can happen at any time. After all, you can only control how you drive—not how others do! So, always keep your veterinarian’s number in your phone, or written down. That way, if you’re far from home and you have to take your pet to an emergency vet, they can quickly get in contact with your pet’s regular veterinarian. 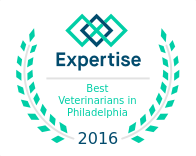 A specialty veterinary healthcare hospital located in the greater Philadelphia area, VRC has an emergency medicine and critical care center that stays open 24/7, 365 days a year. This year, National Poison Prevention Week is March 20-26th. 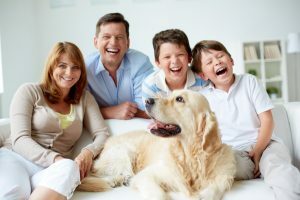 While poison might not be the first thing you think of when you consider pet safety in the home, keeping dangerous ingestibles away from your pets is an important consideration for all pet owners. Just like toddlers, pets are prone to putting things in their mouths that they shouldn’t, so why not take a bit of time and poison-proof your home this March? 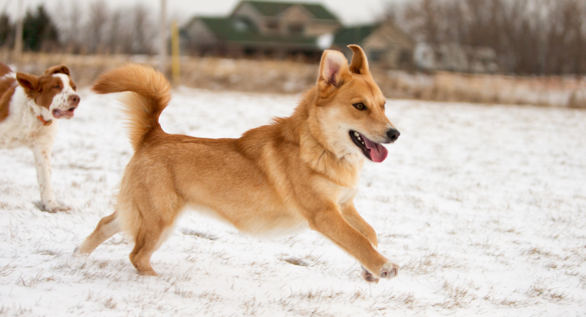 Chemicals and cleaning agents are responsible for a large proportion of pet poisonings annually. Keep all chemicals out of reach of your pet, or if you can’t do that, put toddler-proof locks on your cabinets. Cats love to open cabinet doors, and dogs love to sniff and taste. Even if you can’t imagine why on earth your cat or dog would get into the Lysol, gasoline, or windshield wiper fluid, they just might if you let them. Many household cleaning products are toxic and can cause vomiting or even chemical burns of the mouth, tongue, esophagus, and stomach, and less than a tablespoon of antifreeze can kill a 20-pound dog. So, make sure to be as careful as possible with these common household fluids! Plants are another common source of pet poisonings. Be very aware of what plants you keep in your home and even your yard! Many people keep philodendrons, poinsettias, and Easter lilies in their homes, but these are all toxic to dogs and cats. As far as yard plants go, oleanders, azaleas, sago palms, yews, and caster beans are toxic to animals. If you’re concerned, you can look at the ASPCA’s guide here. While you’re looking around your home, keep an eye out for other items that might be toxic to your cat or dog. Mothballs, fabric softener sheets, cigarettes, batteries, potpourri, and coffee grounds are all bad for your pets, and of course medications fall into that category. It’s a good idea to keep your prescription drugs in a secure place as a rule of thumb, but if you have an inquisitive cat or dog, be doubly sure they’re out of reach. And it’s not just prescription drugs that can be deadly—cold medicine, vitamins, and diet pills can kill as effectively as painkillers. All of the above items are fairly obvious sources of poisoning. But foods that are perfectly safe for humans can be just as toxic as cleaners and chemicals. Onions and garlic should never be fed to dogs and cats, nor should chocolate, alcohol, raisins or grapes, or uncooked yeast dough. 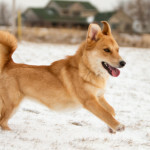 Finally, be sure to keep any rodent or insect bait away from your pets, and wipe your pets’ paws after they walk on chemically treated lawns or ice melt. Dogs and cats may lick their paws to clean them if you don’t! Accidents happen, so if your pet ingests something toxic, call the ASPCA Poison Control Center or VRC, your local veterinary specialty hospital in the Philadelphia area. VRC Specialty Hospital in Malvern is open 24 hours a day, 7 days a week, 356 days a year. 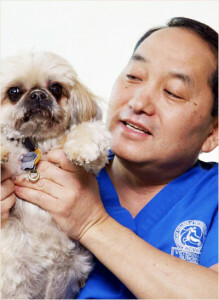 We are an emergency clinic for your pet in the Philadelphia area. Give VRC a call at (610) 647-2950 if you suspect your pet has been poisoned. As we approach the end of 2015, all of us at VRC would like to express our gratitude for the trust and confidence you have placed in us to care for your clients and their pets. We recognize that you have many choices in where to refer your clients or receive specialty care for your pets and we appreciate that you have chosen us. We have spent the greater part of this year learning and listening to the community and our referring veterinarians. We have heard and understood the importance of having all of our services under one roof to enable better patient care. This is why we are proud to announce the initiation of two changes to occur on January 4 that further elevate our medical offerings and increase client service. Our first announcement is that we are relocating all of our services to the VRC hospital at 340 Lancaster Avenue in Malvern, PA. We know after 44 years in this community how important it is to have immediate access to all services. Combining the Cancer Center and VRC will create efficiencies, elevate our care and streamline communications for both referring DVMs and pet owners alike. Our second announcement is that our very own Dr. John Anastasio, the current Director of Emergency and Critical Care will expand his role to become the medical director for the entire hospital. Dr. Kenneth Sadanaga and Dr. Dietrich Franczuszki both look forward to turning their attention fully on their surgical procedures and client communication. They are as eager as I am to see these exciting changes implemented and to witness the enhancements in customer experience that we know will accompany them. We have always understood the importance of the customer experience, from interactions with our reception to the journey that both our patients and clients undertake while in our care. We also recognize the significance of a strong communication line between a referring veterinarian and the veterinary specialists on our team. These aforementioned changes will create a more unified environment in our hospital that will even further develop the client care and communication with the referral community that we already so deeply value. Under one roof, we will have the ability to work together and hold ourselves to the same high standards that we have in the past, while simultaneously striving to raise the bar and exceed expectations. We hope that these changes even further reinforce the confidence you already have in us as we enter 2016. From all of us at VRC, we wish you, your staff, and family a happy holiday season and a healthy and prosperous New Year. VRC is partnering up with the Red Paw Emergency Relief Team this year for a Holiday Pet Supply Drive. The Red Paw Emergency Relief Team is a nonprofit organization that provides emergency assistance including search & rescue, emergency transport, shelter, and veterinary care to animals involved in fires and other residential disasters. No human bedding, towels, or open bags of food please! Please stop in between now and December 28th to make your donation to this worthy cause. Bring all donated supplies to the holiday themed supply drop box in the VRC Veterinary Specialty Hospital lobby.